The whispers of the past begin to echo in the present. 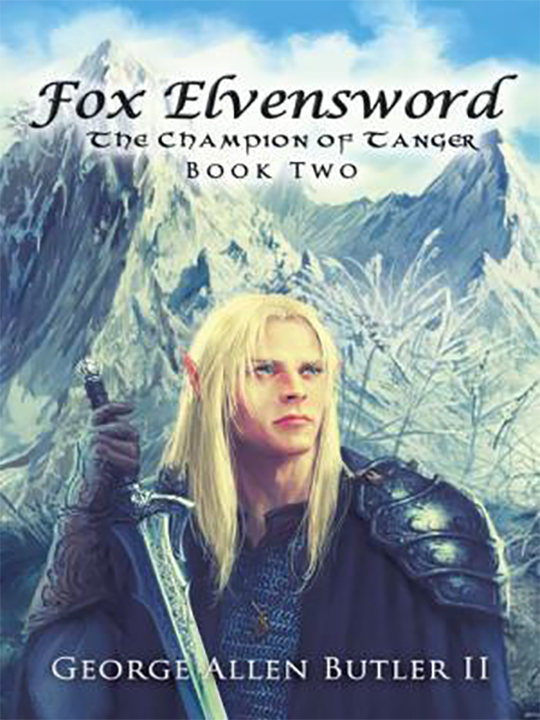 A bargain made two thousand years before to protect the city of Tanger, now threatens to destroy the elven future… Fox Elvensword, the one-time bearer of the Sword of Bhaal, is on a journey to the University of Te’are to become an Elvish Knight and prove his nobility exists in more than just his blood. He finds his efforts fraught with unexpected perils, thanks to the scheming of an evil provocateur. To defeat the wheels within wheels that are turning against the Elves of Tanger, Fox must learn lessons not always taught in class. He must navigate the riddles of war, love, and self-doubt to prove his mettle. The enemy of all he loves knocks at the gates, and failure will mean a dark age for all elvenkind. To succeed, he must become THE CHAMPION OF TANGER!